A review done for United States Fidelity and Guaranty Company Health Insurance has led to its more common name of U.S. Fidelity and Guaranty Company (USF&G). USF&G was taken up by Saint Paul Fire and Marine Insurance Co. (St. Paul Insurance). By 2004, St. Paul Insurance merged with Travelers Companies (Travelers). While Travelers offers a large amount of specialty insurance products, they do not offer health insurance. To research health insurance rates, you can enter your zip code on this page and get a free quote. Travelers is headquarters in St. Paul Minnesota, Hartford Connecticut and operations in New York City, Travelers has become one of the largest U.S. companies. It is rated as 106 on Fortune 500’s 2011 list of largest business. Revenues for 2010 were 25.1 billion and the assets were a whopping 105.2 billion. USF&G was an insurance company that opened its doors in 1896 and closed them in 1998 when it was acquired by St. Paul Insurance. Originally based in Baltimore Maryland, it was crucial in the rebuilding of economic redevelopment in the Baltimore Inner Harbor area during the 1970s. The building that helped spark the redevelopment was a 37-story pink granite building that is still a landmark of Baltimore. It is one of the tallest buildings in Maryland. Throughout the 1980s, USF&G went through some major setbacks and struggled to make a profit. By the 1990s, after a successful CEO took over they were once again a track to make money. St. Paul Insurance bought them out in 1998 and USF&G has ceased to exist ever since. St. Paul Insurance was originated on March 5, 1853 and focused on local customers who were having difficulties with insurance claims. They focused on those customers on the east coast initially. St. Paul had difficulties at first but reorganized their mutual company into a stock company. Travelers was formed in 1864 in the city of Hartford, CT. The policies of Travelers started out diverse and still are. They were the first in the industry to offer commercial airline policies, automobile policies and even policies for space travel. In 2004, Travelers and St. Paul Insurance merged and first renamed itself as St. Paul Travelers. 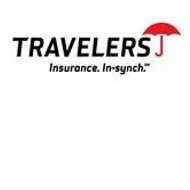 Eventually the corporate name changed to The Travelers Companies in 2007 where it also repurchased the rights to their now famous red umbrella logo from Citigroup. Today, Travelers is one of the largest companies in the U.S. They also provide charitable support to organizations. Their charitable focus is on public education and improving academic and career successes for those less fortunate and underserved. Travelers personal insurance includes auto, home and other products for the individual policyholder. Their business insurance has a diverse spectrum of both casualty insurance and property insurance. They also have other insurance related services for their U.S. customer base. Their financial insurance along with the professional and international insurance covers a variety of policies as well. This includes plans for surety crime and financial liability businesses (mostly use their underwriting processes). For their international base they predominately sell property and casualty products. According to A.M. Best, USF&G is categorized as a member of Travelers Group and includes their rating. A.M. Best gave a very positive rating for Travelers. The rating for financial strength was an “A+” or “Superior.” Travelers was also given a “Stable” financial strength outlook. A.M. Best ratings range anywhere from A++ “Superior” to an F, which is considered liquidation. Ratings were also given for Travelers issuer credit. Their long-term outlook was designated an “aa” which is “Stable” along with their credit outlook. While Travelers has a large amount of insurance products that are both diverse and eccentric in some cases, they do not have health insurance. It is important to research those companies that have what you are looking for as far as insurance policies. While Travelers offers insurance, they do not focus on health insurance. In order to find your best-individualized health insurance quote you can enter your zip code on this page and start comparing.